The introduction of CAF-built Nova 3 trains on TransPennine Express has been delayed, after commissioning trials revealed a problem with the braking system. The new trains should have entered service this side of Christmas, but the launch has been put back to January while tests continue. 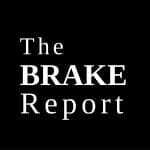 Railnews understands that the fault means that the brakes are ‘over responsive’ when applied at low speeds, meaning that the final stages of deceleration are too abrupt for the comfort of passengers on board. The spokesman could not say whether the fault was mechanical, electrical or related to software, but it does not affect the other fleets on order from the same manufacturer, the Nova 1s and 2s.